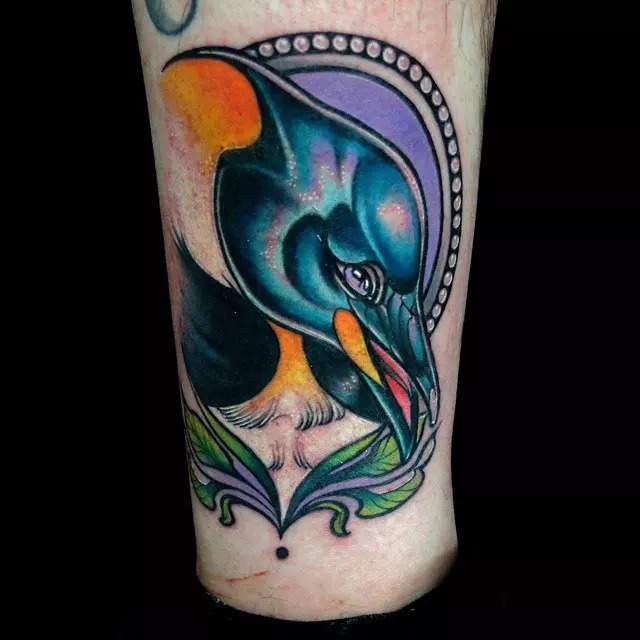 Animal tattoos can look great on anybody and so if you are interested in these types then you should consider getting a penguin tattoo. 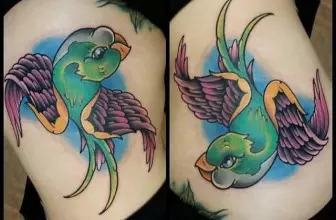 Although these tattoos are not mainstream tattoos, they have been around for a while now, and they are becoming more popular day by day. Just like most other types of tattoos no one can say with certainty when they came to being or where they came from. All indication and historical evidence point to these tattoo originating from seafarers and explorers. During their long sea voyages, seafarers would come across different types of sea creatures. 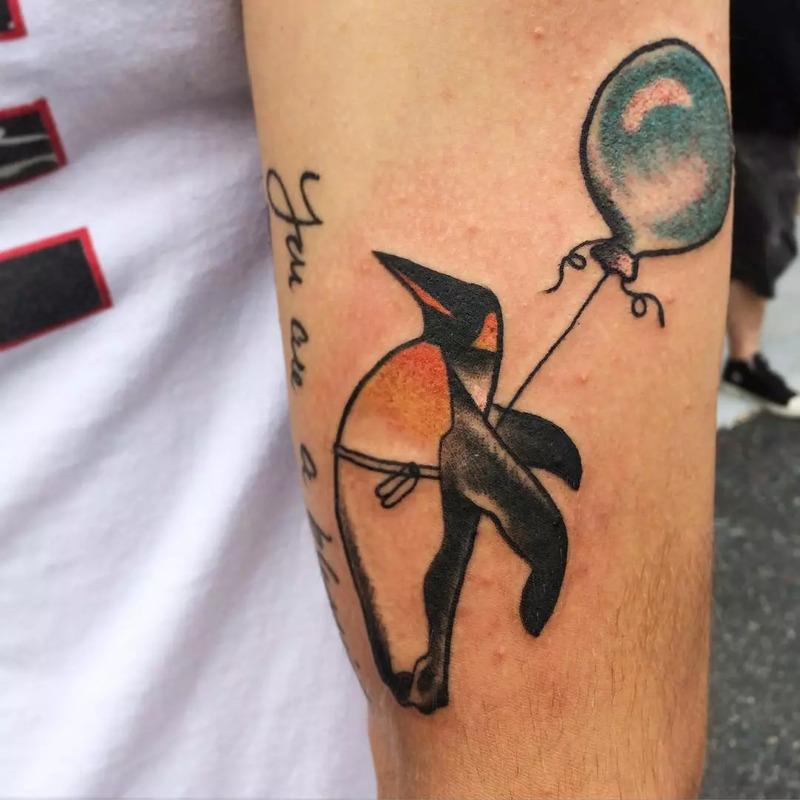 When a person came across an animal that fascinated them like a penguin, they would get a tattoo of it so that they will always remember it. The people that they interacted with saw how cool these images were, and so they would also copy them, and this is how the Penguin Tattoos spread across the world. The origin of the modern day penguin image can also be attributed to famous Penguin TV characters and animations. Although most people choose to have these tattoos for decorative purposes, they hold some symbolic value. The symbol can be used to represent different qualities and attributes, and so they can hold varying meaning depending on the type of the tattoo, the wearer, and the placement. However, you should always have in mind the fact that the tattoo will represent anything you want it to represent. Endurance and Agility are two common meanings associated with these tattoos. Given the environment that this animal lives in survival cannot be possible without these two essential attributes. To show that you have the endurance and agility to face anything that life brings your way you can have one of these images inked on you. Some situations in life require one to have the endurance like that of a penguin that enables in to survive at temperatures that few other animals if at all any can survive. These tattoos can also be used to mean family and unity. Penguins live in a group as they are social beings, and so this can be equated with a human family. Family is as important to penguins as it is for humans and so to show that you value your family you can have one of these tattoos. Without unity, penguins would probably have been extinct by now. Unity in penguins is portrayed in the way they hunt together and cuddle together to ensure that none of them freezes to death. To symbolize your unity with friends or family, this would be an ideal tattoo for you. Other meanings associated with these tattoos include determination, adaptability, change and in some cases mischief. All these are traits and characteristics associated with the penguins, and they can be seen in the characters played by these animals in TV Series and animations. Besides from the meanings mentioned above, these tattoos can have other meanings when combined with other types of tattoos. A penguin can make a perfect sleeve tattoo. You can choose to have it as a full sleeve tattoo, half sleeve or even a quarter sleeves. 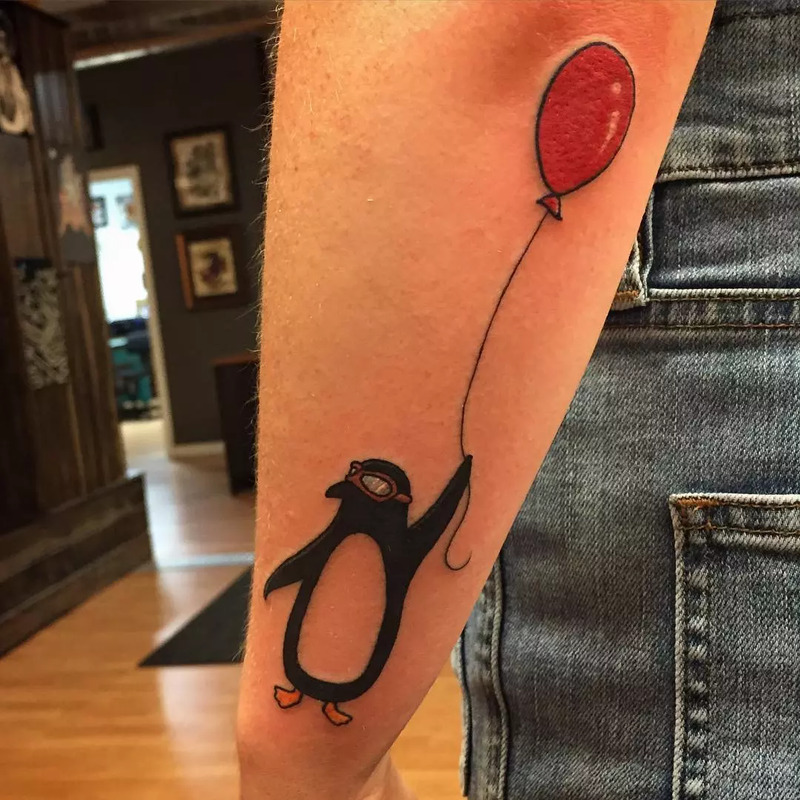 If you decide to have it as a sleeve tattoo, a good idea would be to draw a penguin couple’s tattoo so that your tattoo will cover the entire sleeve. 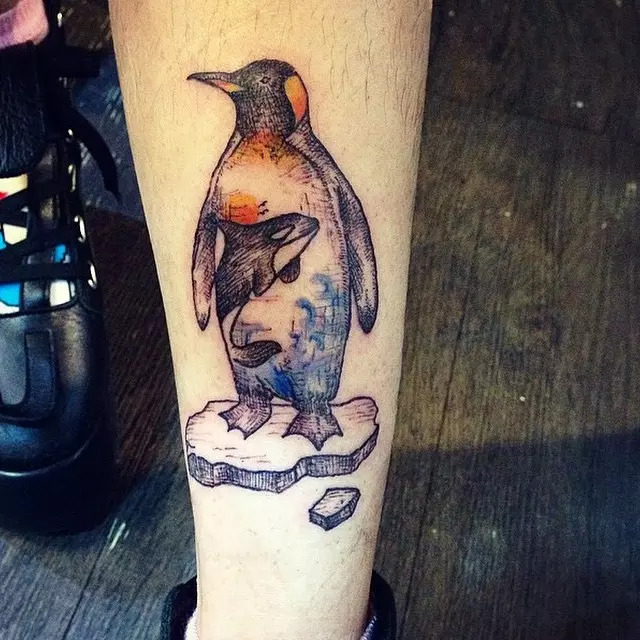 Although it might not be very visible, and you will be forced to draw a small tattoo the ankle is a good place to have your penguin. You can have the tattoo on the front side of your ankle or a small one just above the heel. Most Penguin tattoos look amazing when drawn on the wrist, but the tribal penguin will look more fantastic. If you decide to have yours on the wrist, there are many ways to go about it for example you can have two matching tattoos on each wrist. The back is an ideal location for any tattoo with the penguin included. However, for the penguin there are specific places on the back where you should have it depending on the size. Or small tattoos you should have them one side of the back but if you want a big one, then it be more centrally placed. 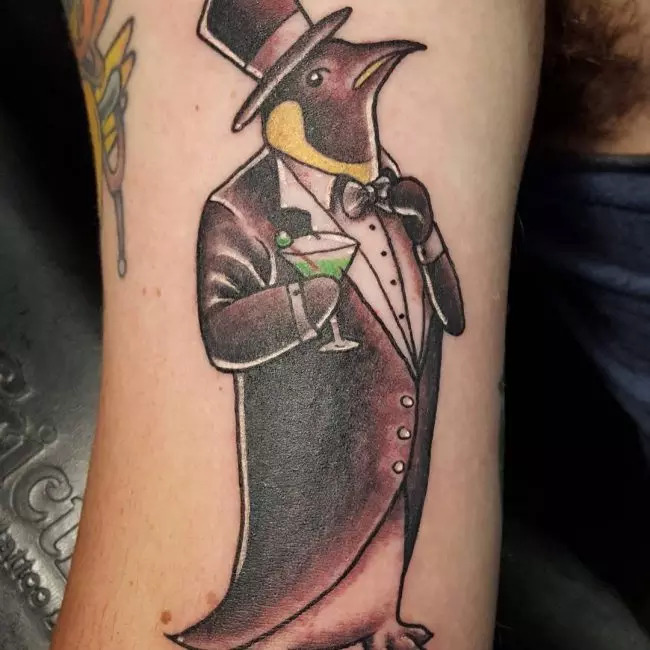 Penguins are known to pair up for a very long time and so this tattoo is meant to show this. 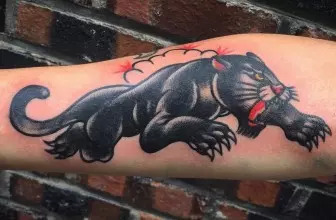 If you get it from a skilled artist, then your tattoo will be able to demonstrate or portray clearly the bond between the two animals. 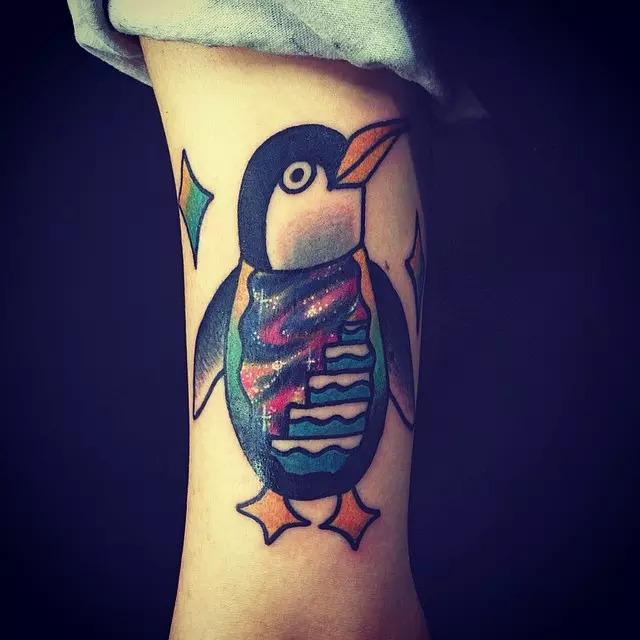 In this tattoo the body of the penguin is drawn in the tribal print. 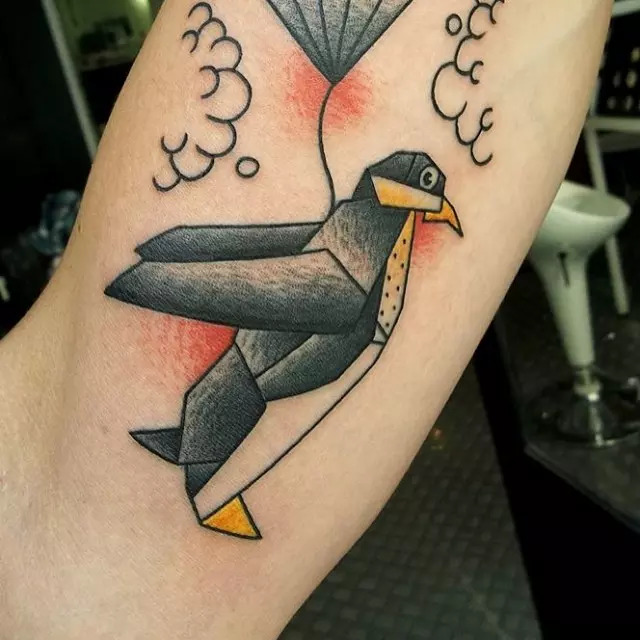 Although you can clearly see the tribal prints in the tattoo, this does not alter the image since you can still be able to tell that it is an image of a penguin. A penguin spends a significant part of its days in the water looking for food, and so it is sometimes classified as a sea animal. 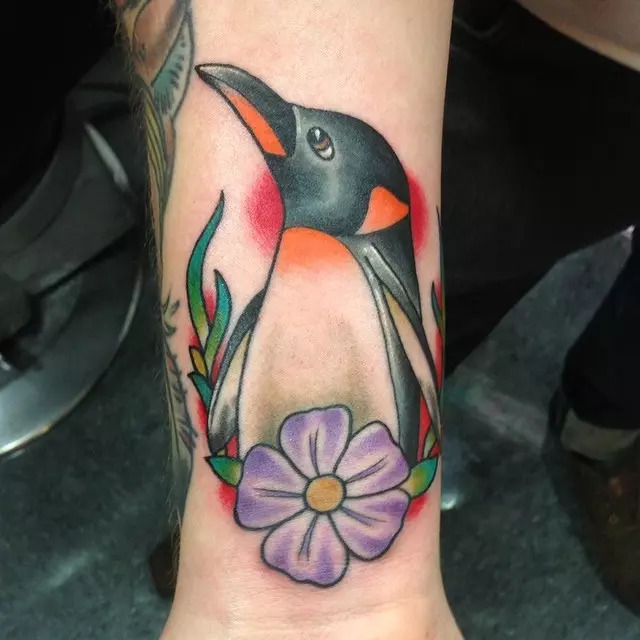 Due to this it is one of the animals associated with the Navy, and this is the reason there is a navy type of penguin tattoo. 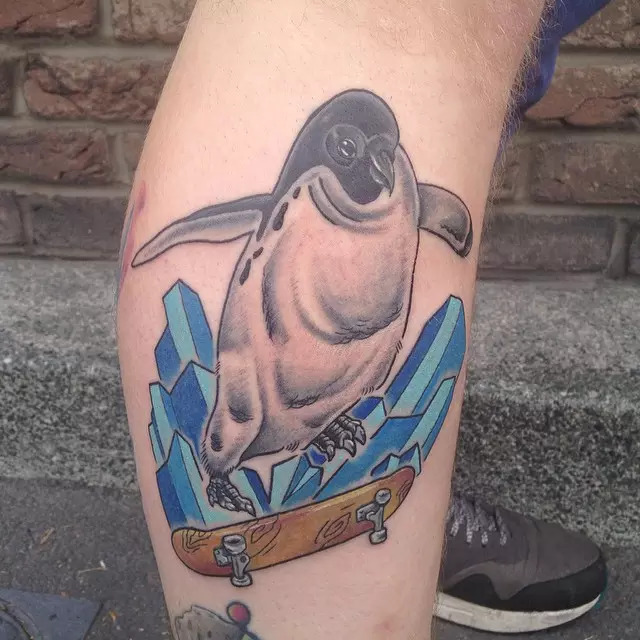 In this tattoo, the penguin is drawn wearing a navy cap or scarf leaning on an anchor. The human fascination with zombies has no borders as can be seen on this tattoo. The penguin is drawn as a zombie or as a dead penguin. Adding some color to this tattoo makes it look outstanding. This is one of the largest penguin species and perhaps also the most widely featured species in documentaries and animations. 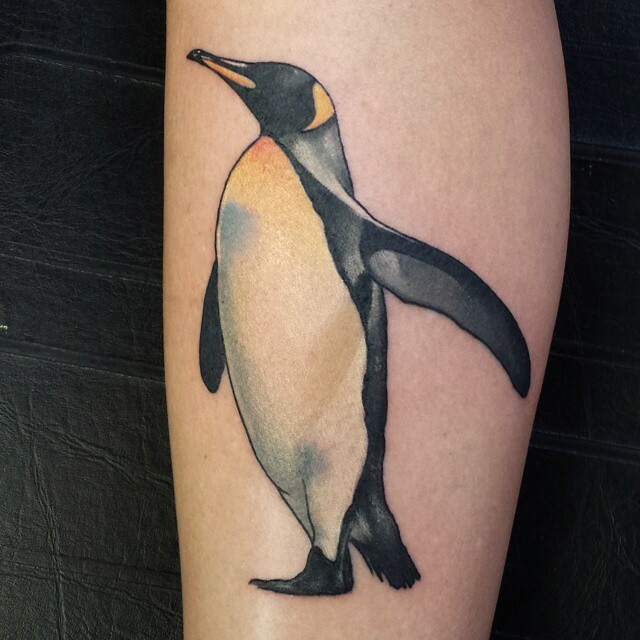 The imposing size of the King Penguin makes it an ideal tattoo especially if you want a huge penguin tattoo. 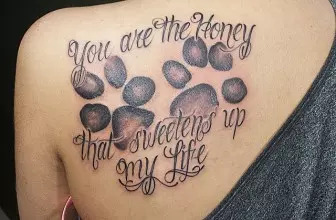 This is a perfect tattoo if you are looking for a tattoo to show your love for someone. In these tattoos, two penguins are drawn to take the shape of a heart. The shape is achieved by bringing together their beaks at an angle. 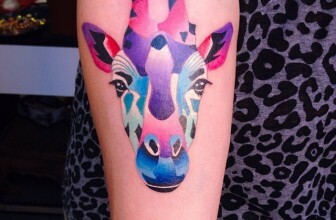 This tattoo is all about colors. 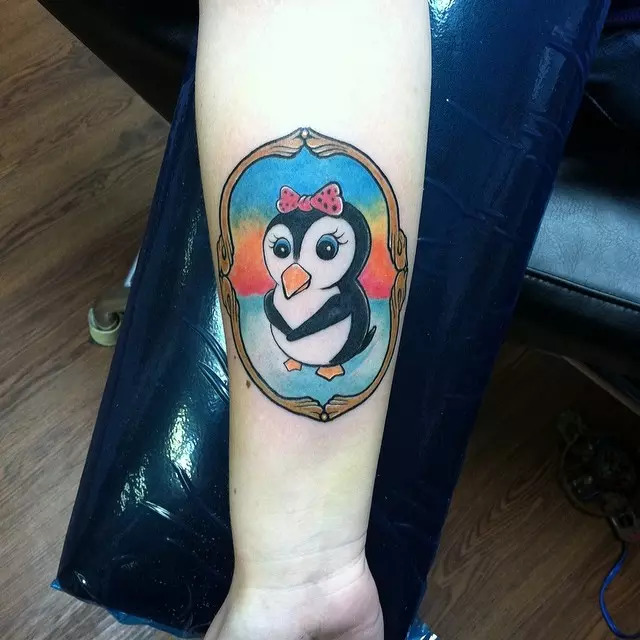 By simply giving your tattoo more colors you will have yourself a cute and colorful penguin image.